Our screen printed Special Holiday Delivery Hospital Baby Hat & Sock Set features an adorable candy cane and "Special Holiday Delivery" in red. 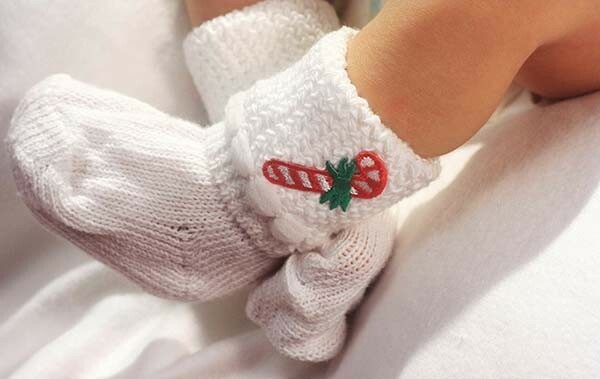 This set adds a special holiday touch to any Mother & Baby Kits and serves as a unique reminder of baby's first moments. 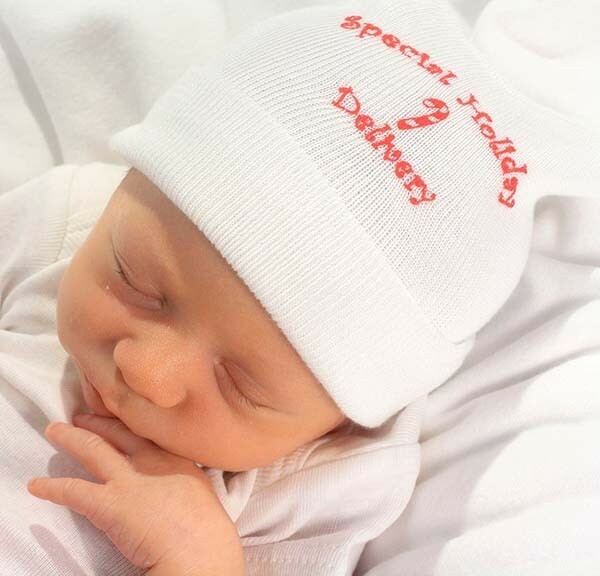 The babies in your maternity ward are sure to stay warm and cozy throughout the holiday season with this specialty cap and sock set!